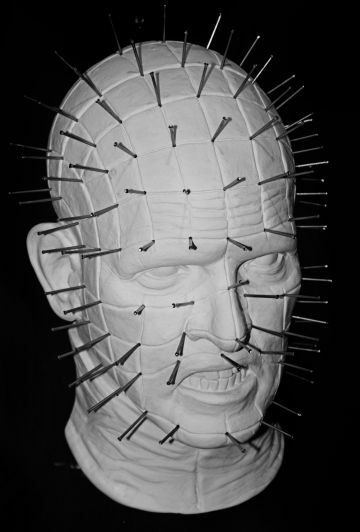 Doug Bradley as Pinhead Life Mask - Hard to find life mask of Bradley, created as publicity for the second Hellraiser film, Hellbound: Hellraiser II (1988). 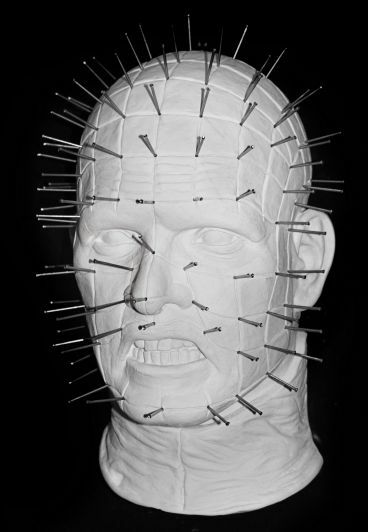 Life mask comes with "pins" ready to be installed and is a Haunted Studios™ website exclusive. This life size mark is quite large and striking. This life mask comes ready for wall hanging with a sturdy wire hook in the back. 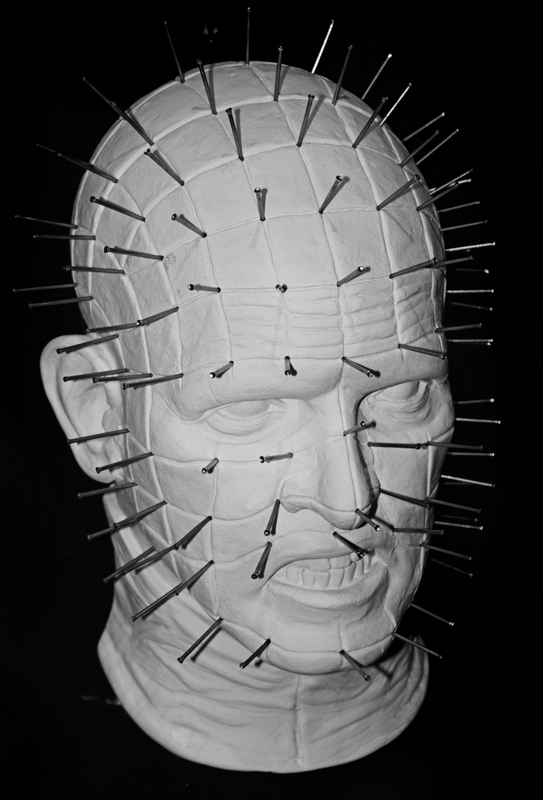 Casts of this iconic life mask were provided to selected theaters during the film's opening week, making for Pinhead clones the world over. 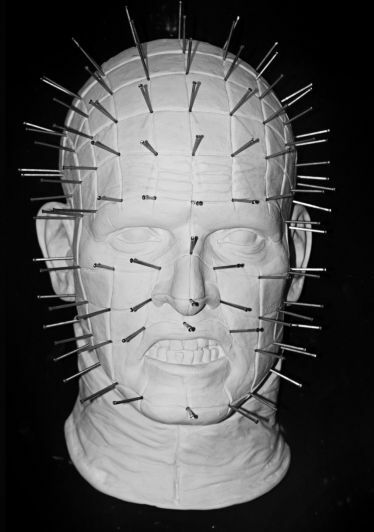 This image of Bradley was also used for the film's poster.